Build Your Own Party package! Chose a movie with movie meal , Game Time Arcade Package, or chose both! All parties require a $50.00 non-refundable deposit one week in advance to secure your requested time slot. 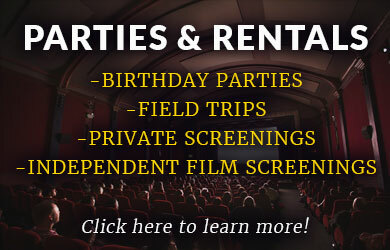 We can host a Private Screening Birthday Party as well. A Private Screening Birthday Party package provides exclusive use of an auditorium and includes one admission ticket and one Movie Snack Pack (drink, popcorn, fundip) per person with one additional hour of auditorium rental time pre or post movie screening. A minimum of 20 guests total is needed to book a private screening birthday party. Private parties must conclude prior to the first public movie showing of the day. Note: Party timeslots, movie showtimes and movie titles are not guaranteed. A charge may apply to upgrade film type from 2D. Not all films are produced in every format. Movie must be rated G, PG or PG-13.Contact theatre manager for details. It is easier than ever to plan a group outing for preschool and school-age children! Available weekdays prior to a theatre opening for regular business -- before 10:00 a.m. -- with restrictions on holidays and blockbuster film release dates. You choose the event date! At least 10 days advance notice required. Minimum purchase of 20 guests with a ticket required for each student, teacher, chaperone, and bus driver. Movies must be rated G, PG, or PG13. Concession Snack Packs and Combos offered at a discount. Field Trip showings are closed to the public. Various school groups may share an auditorium. Groups may also attend public performances later in the day if needed. Entertain guests with a private screening of the latest blockbuster or classic film in your own auditorium with guaranteed seating and no lines! 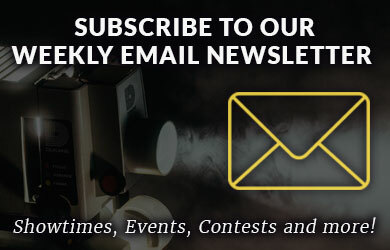 Showcase your movie on the big screen! 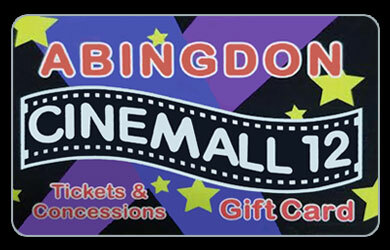 To host an Independent Film Screening at Cinemall, you must have the rights to the film and provide content. DCP format or Blu Ray is required to ensure high quality resolution. Choose an event date and film start time with advance notice of at least 15 business days. All private events include an administrative fee, for advertising. prior to film date. Contact theatre manager for details.